Tomorrow night, in the main event of UFC 229, former UFC lightweight and featherweight champion Conor McGregor will return to the cage to battle undefeated lightweight champ Khabib Nurmagomedov. Nate Diaz, who is 1-1 with Conor McGregor across two previous bouts, is bound to be watching this fight with particular interest. Speaking to TMZ, Nate Diaz weighed in on this UFC 229 main event showdown. It sounds like he’s leaning toward McGregor. 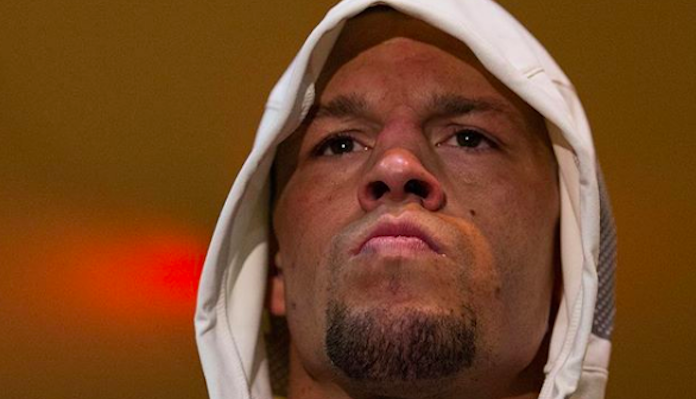 If it sounds like Nate Diaz is pulling for his rival Conor McGregor personally, think again. He just wants the person he considers a real fighter to win. Interestingly, Nate Diaz also claimed he has no interested in a tie-breaking trilogy fight with Conor McGregor, as he feels he’s already beat the Irishman twice. Nate Diaz also assured he’s not interested in fighting Khabib Nurmagomedov. Nate Diaz returns to the cage against Dustin Poirier in the co-main event (we think) of UFC 230 on November 3.